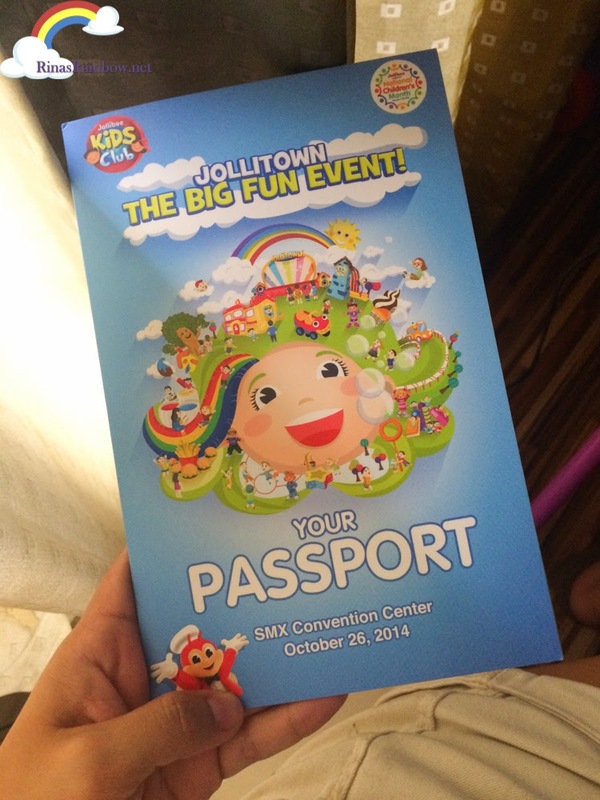 Rina's Rainbow: Jollitown Just Came to Life at The Big Fun Event! 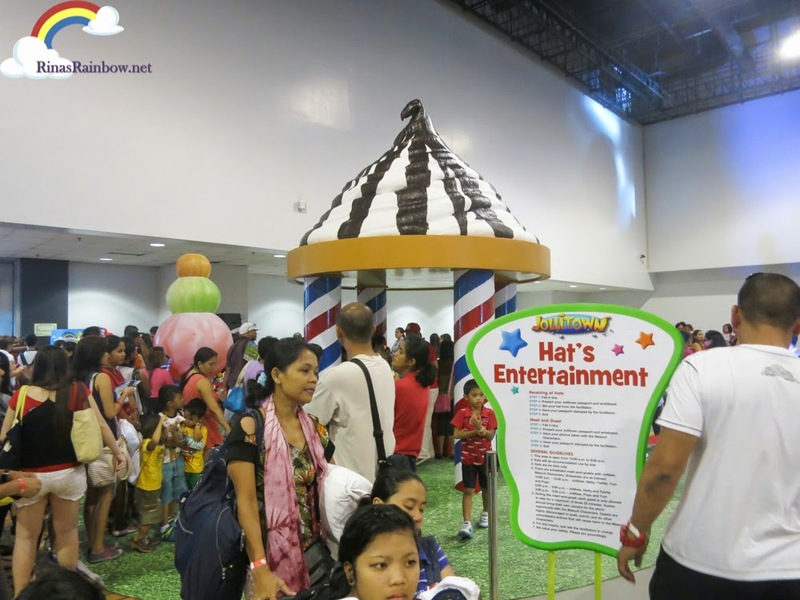 And then you'll see the huge Jollibee Bob House. You won't miss it. It's really huge! There's a huge slide on the side. And inside your kids can just jump and bob along! Like sports? Then The Bouncer Balls is the place for you! 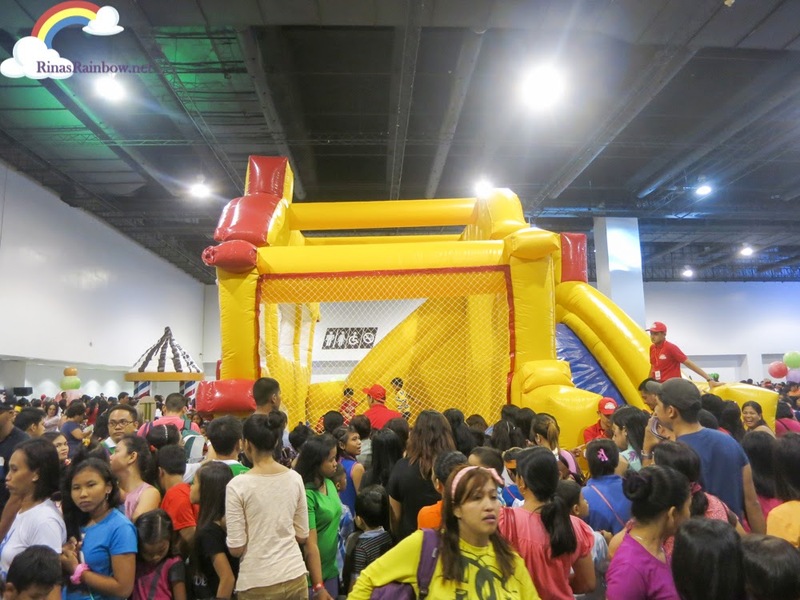 Play basketball inside this fun balloon court! 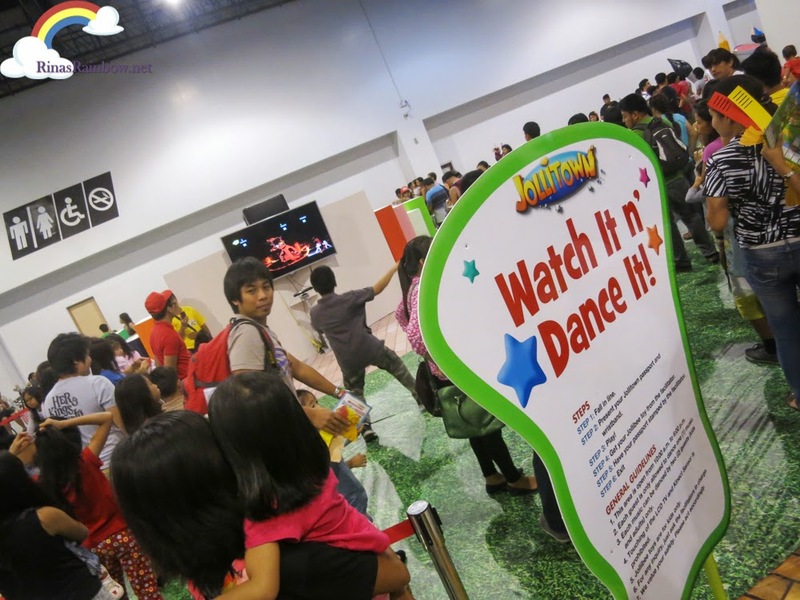 Kids had a blast busting their moves at the Watch It n' Dance It area! Looks like that guy there is having a great time showing off his signature dance moves hahaha! 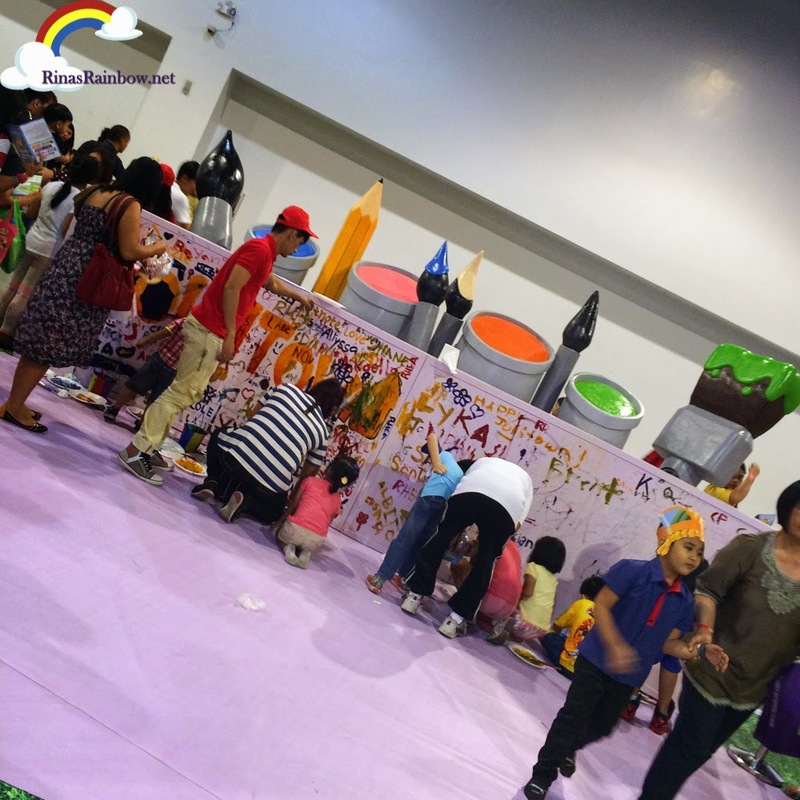 For kids who like art or if you just really love doodling, there's the Art Wall. Write your name, make a little drawing, it's all up to you! But this is not all play! 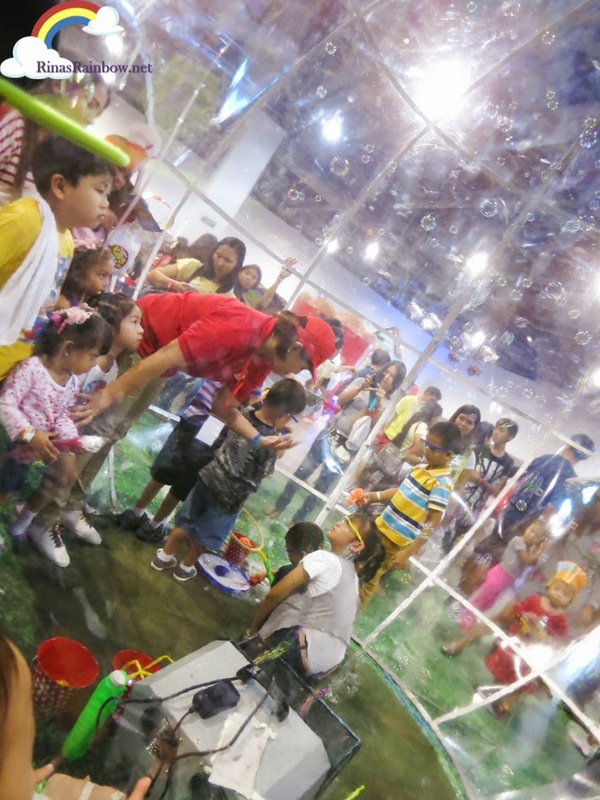 There's also the Master the Burger Station where kids can learn about the steps on how to make a Yum Burger with TLC! 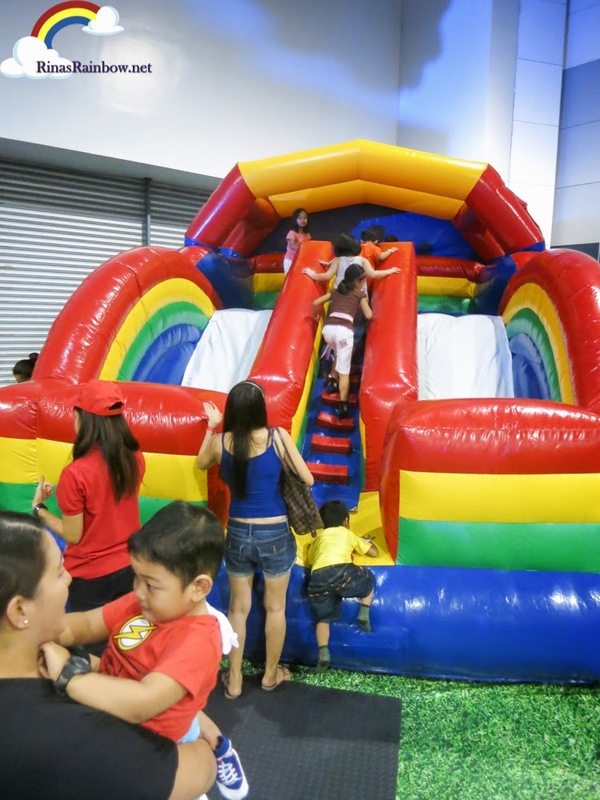 Perhaps the most colorful bouncy house in the place was the Rainbow Slide. This really looked fun! 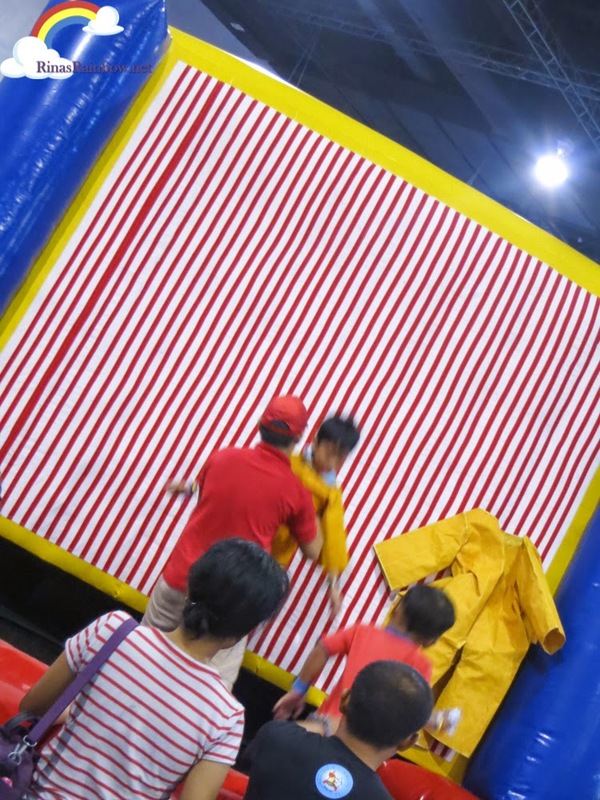 The Ding Dang Dong Clingers is where you can wear a velcro suit, jump as high as you can and stick yourself along the velcro wall! 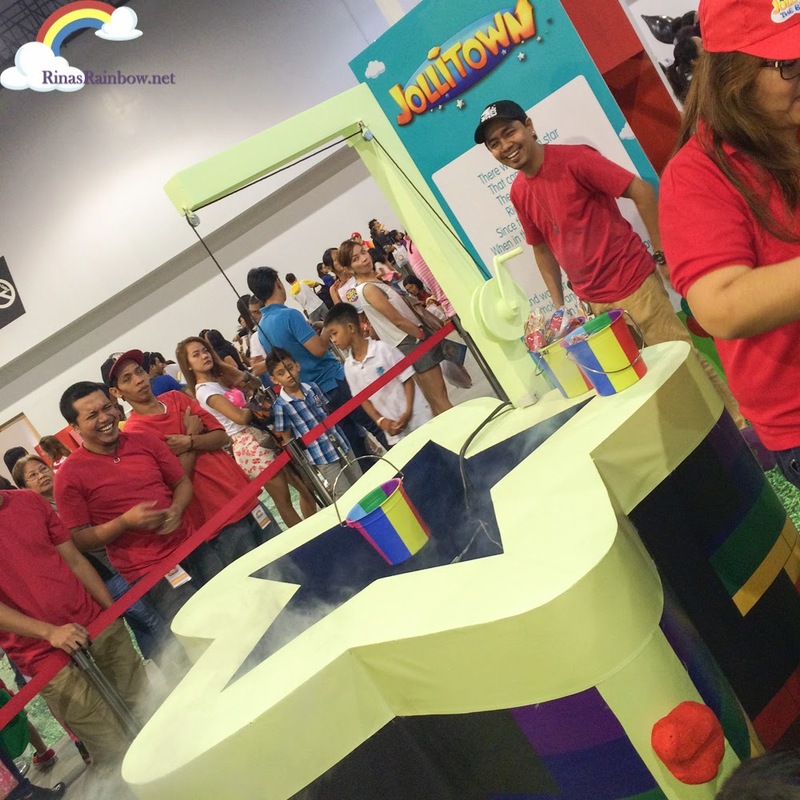 there's also the Wish, Wait, and Whoa booth where you can make a wish by tossing a coin, and see what's in store for you! 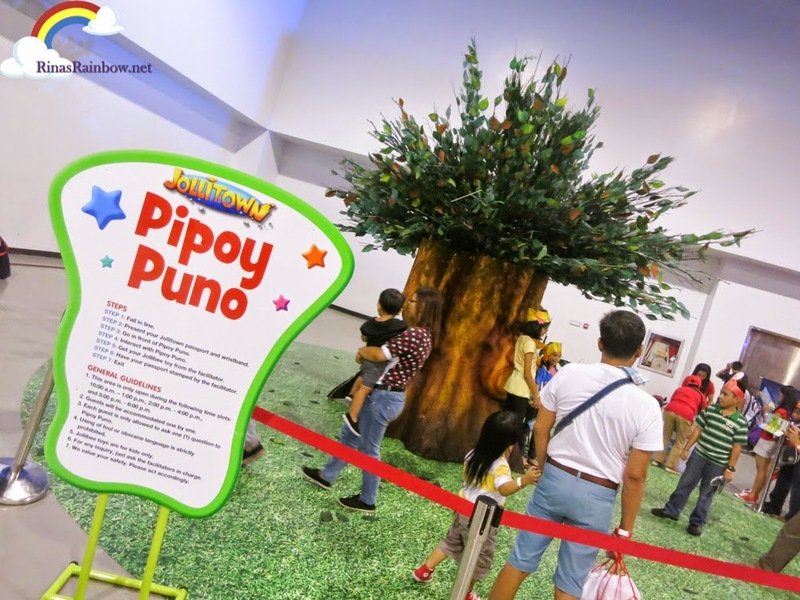 And of course, kids can meet Pipoy Puno and have a photo op with him! 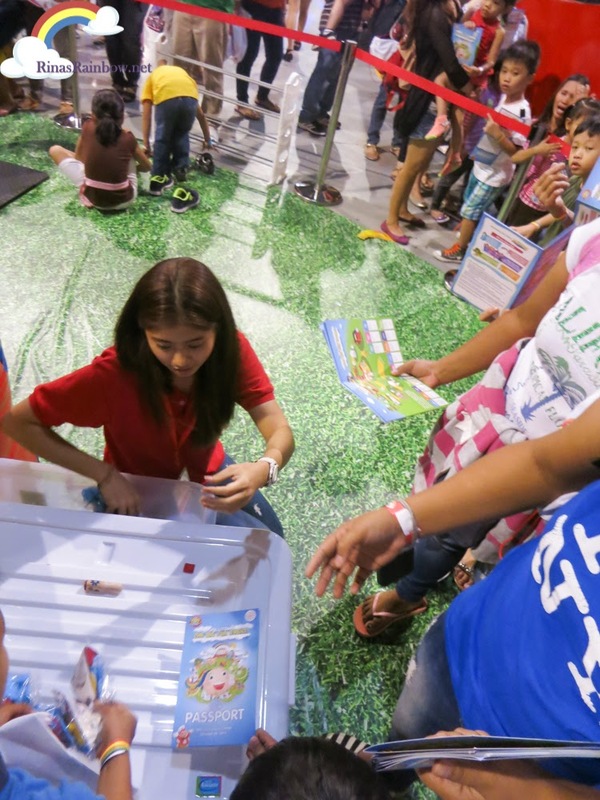 Listen to his fun trivias with all his questions and answers! 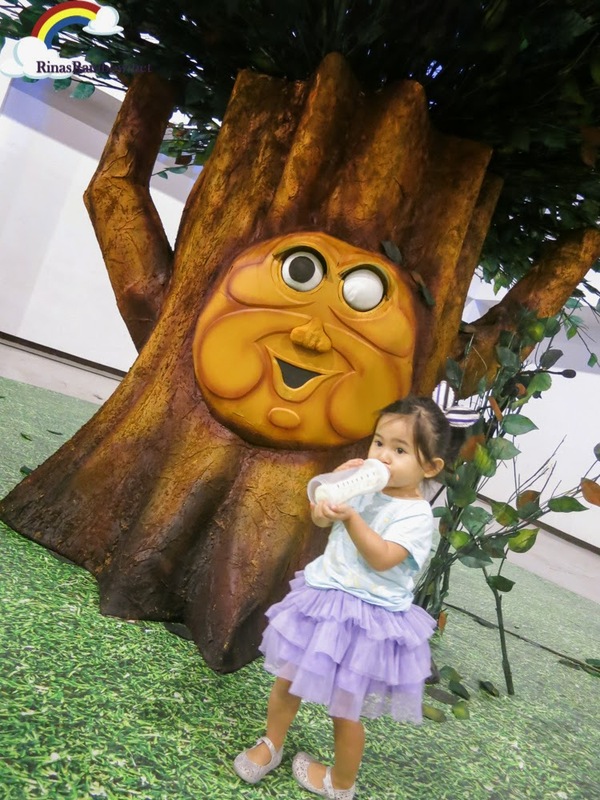 Looks like Pipoy Puno wants some of Rain's milk too! 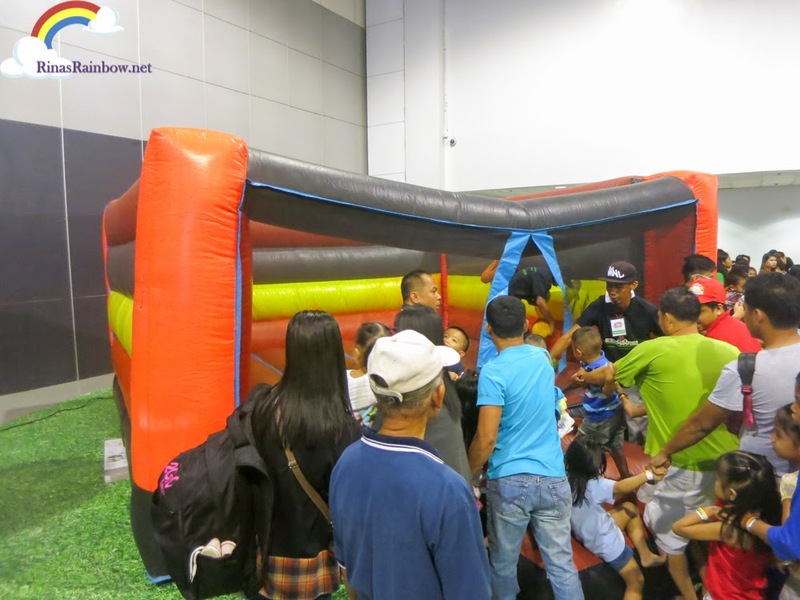 At the end of each booth, after your kid plays, children and parents line up to get a fun cool toy, making the ride more worth it! 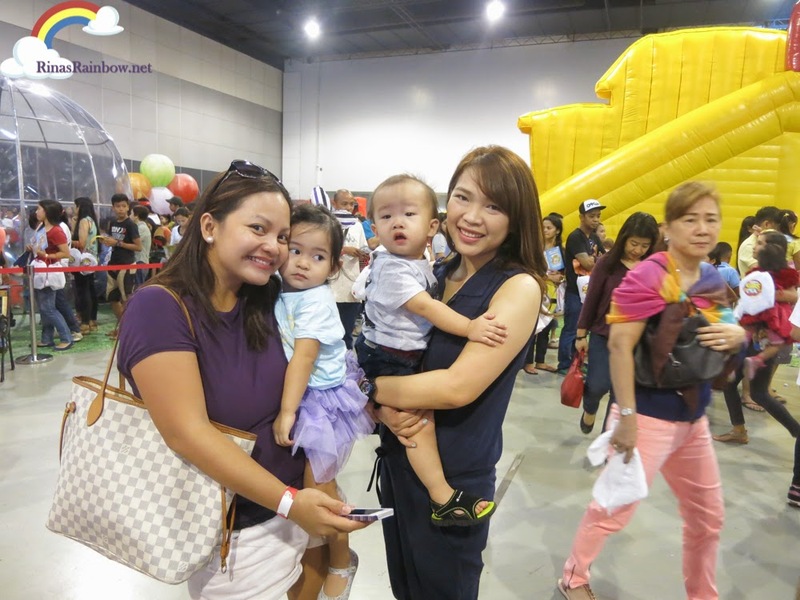 So happy to bump into Nikki Tiu of the famous AskMeWhats! 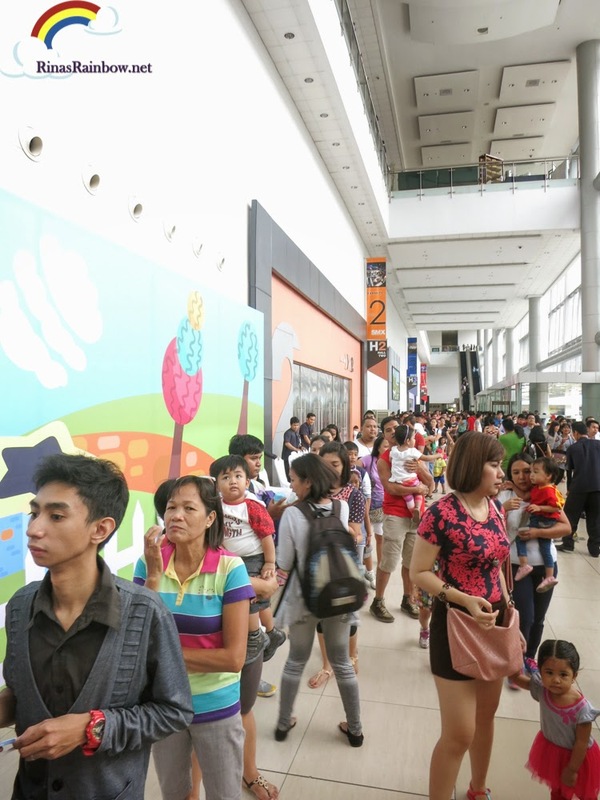 We came in early, around 10 to 11 am and by the time we had to leave, there was still a huge line outside! 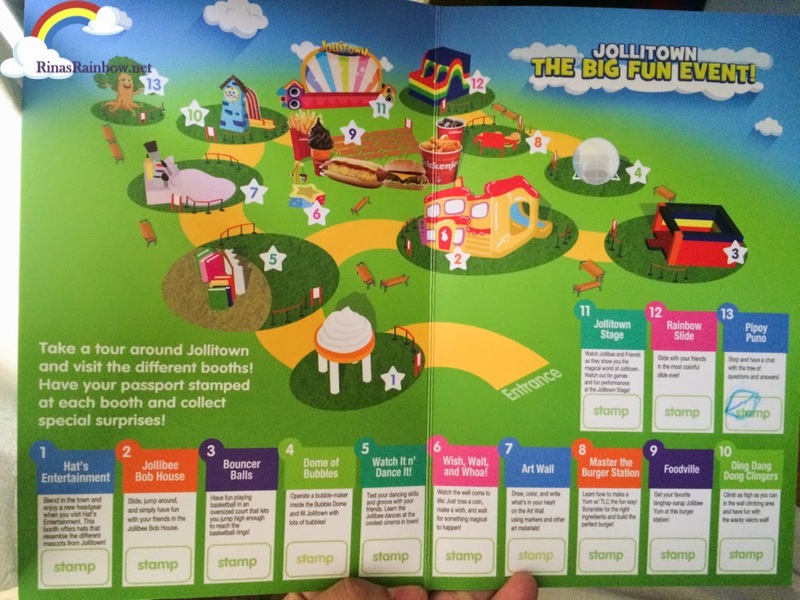 Congratulations to Jollibee for the success of Jollitown's Big Fun Event! 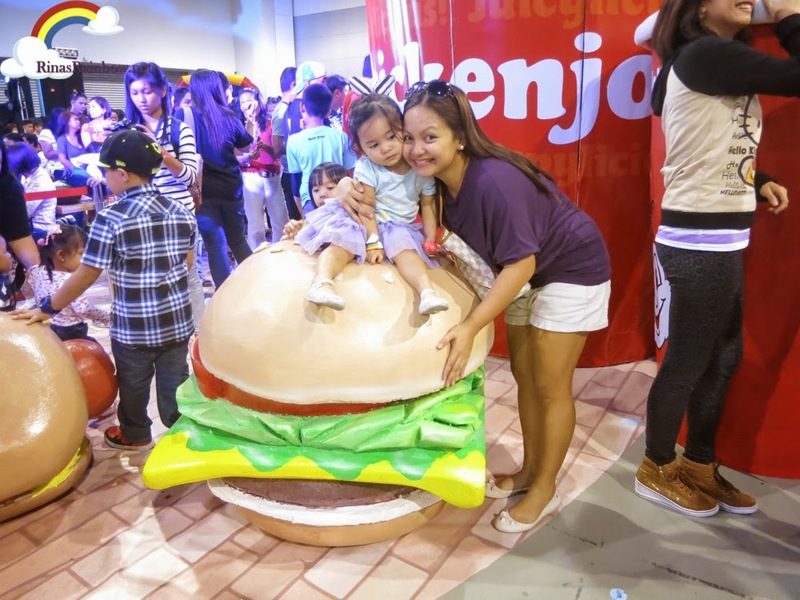 Allt he Jollibee Kids Club members really had a blast at the event! 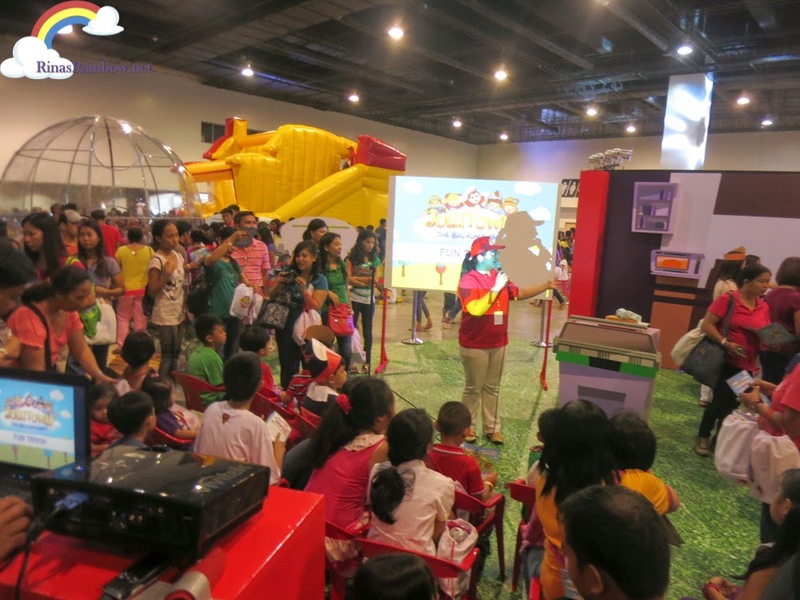 Your kid too can be a Jollibee Kids Club member! Just click HERE and follow the easy steps in becoming a member!